WASHINGTON -- Federal prosecutors won't take on small-time marijuana cases, despite the Justice Department's decision to lift an Obama-era policy that discouraged U.S. authorities from cracking down on the cannabis trade in states where the drug is legal, Attorney General Jeff Sessions said Saturday. Federal law enforcement lacks the resources to take on "routine cases" and will continue to focus on drug gangs and larger conspiracies, Sessions said. The comments come after the Trump administration in January threw the burgeoning marijuana legalization movement into uncertainty by reversing the largely hands-off approach that prevailed during the Obama administration, saying federal prosecutors should instead handle marijuana cases however they see fit. The reversal added to confusion about whether it's OK to grow, buy or use marijuana in states where pot is legal, since long-standing federal law prohibits it. And it caused concern that prosecutors would feel empowered to jail individuals for marijuana possession. 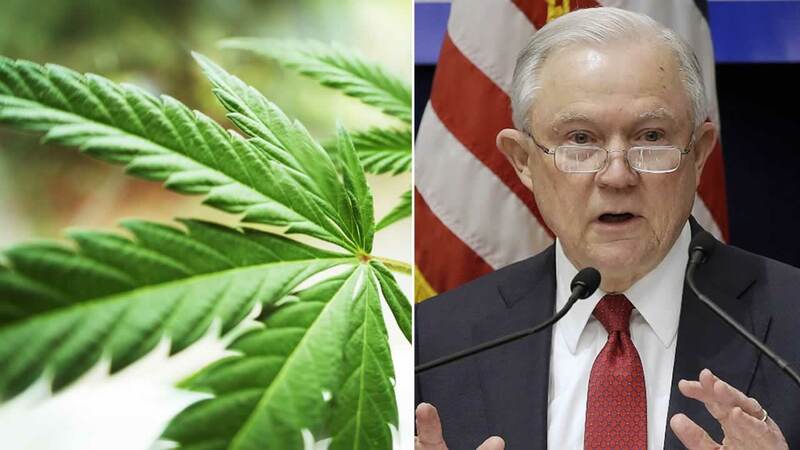 "I am not going to tell Colorado or California or someone else that possession of marijuana is legal under United States law," Sessions said, answering student questions after a speech at Georgetown's law school. But, he added, federal prosecutors "haven't been working small marijuana cases before, they are not going to be working them now." Of particular interest are problems that federal authorities have tried for years to tackle, like illegal marijuana-growing operations on national parklands and gangs that peddle pot along with more harmful drugs. Some law enforcement officials in legal-cannabis states argue the legal trade has caused unintended problems like black-market marijuana growing and dealing by people who don't even try to conform to the legal framework. "Those are the kinds of things each one of those U.S. attorneys will decide how to handle," Sessions said.